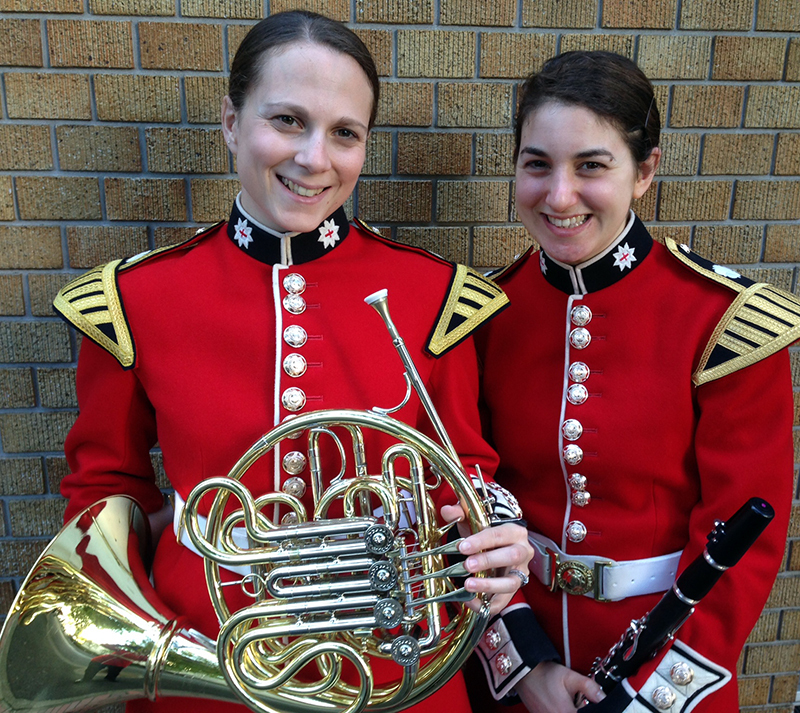 In part two of the Band of the Scots Guards’ (Corps of Army Music) tour of the USA, principal flautist Sergeant James Dutton tells us about more grand venues, defence diplomacy and visiting some of the greatest natural phenomena in the world. Monday brought another travel day for the band – this time from Manassas Virginia northwards to Worcester Massachusetts. This represented the furthest north we had come since arriving in the USA, and an end to the retracing of a track up and down the East Coast that we had been following for the past couple of weeks. It also heralded a rare luxury on this tour, being able to feel relatively stable and stay in the same hotel for three nights! By not living exclusively from a suitcase, it allows a little downtime for us and to recharge our batteries (and not just in our iPads). Worcester seemed on the surface a town like many others we had visited – but it threw up a number of surprises. The show on Tuesday 29th was in the supremely beautiful Mechanic’s Hall a short walk from the hotel. This is one of the most historic music venues in the United States, and made a welcome change from the theatres that we had been getting used to. Aside from the radical change of style of venue, we had to alter the show quite substantially, owing to the nature of the hall being designed for orchestral and chamber music performances. Logistically the biggest change was entering and exiting the stage because of the limitations of the narrow steps leading to the stage. Once on stage, room was at a premium! For the second time on this trip we cut the numbers of those marching – this time to 24. However the rest of the band formed up on the choir steps either side of the organ – in a position that was humorously named “Fraggle Rock”! Despite the changes to the performance, once again it was a rousing success and the audience were generous in their praise. 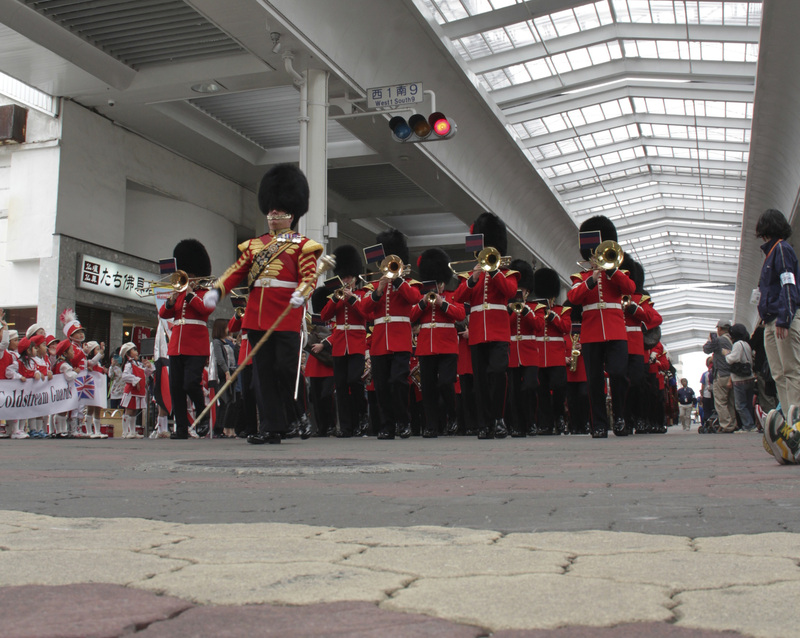 One of the most popular segments in the show is the “Tribute to the Armed Forces” – and the sight of a very elderly woman in the front row rising to her feet, with the help of her walking frame to acknowledge the applause from the audience during the service marches was a very moving sight. The dramatic entrance didn’t detract from our enjoyment of the day, and several hours were spent exploring the attractions of Boston, including the Freedom Trail which winds through the downtown area from Boston Common to Bunker Hill Memorial. Another notable feature of the day was the unseasonably warm weather – a near record high of 16C which felt more like spring than winter. However this was to change radically in the coming days! Shows in Binghamton and Schenectady followed, before we made a 300 mile trip inland to Buffalo, right on the border with Canada and the nearest major town to Niagara Falls. The morning of our departure from Albany was greeted with blue skies and -12C…and the promise of snow to come! After a brief overnight stop in Buffalo with a show in another magnificent university theatre, we left early for the crossing into Canada. 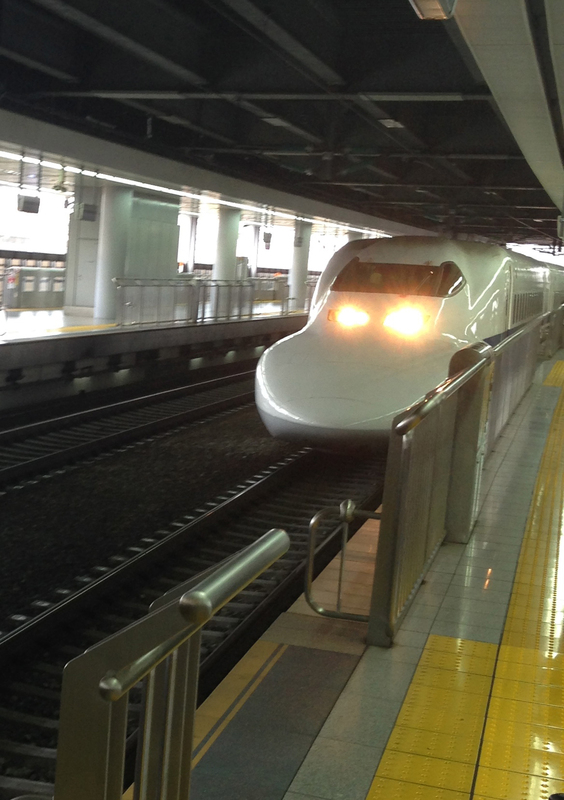 Sometime had been built into the schedule to allow for possible delays, but in the end it proved very quick and took less than 20 minutes. This afforded us a fantastic unplanned visit to see Niagara Falls. In a temperature of -18C and blue skies, with thick snow and ice around it proved just as majestic a sight as it promised to be. At this time of year it takes on an almost otherworldly feel, with icicles perhaps 40ft-long clinging to the rocks and huge blocks of ice being carried inexorably over the waterfall’s edge. A truly memorable visit. 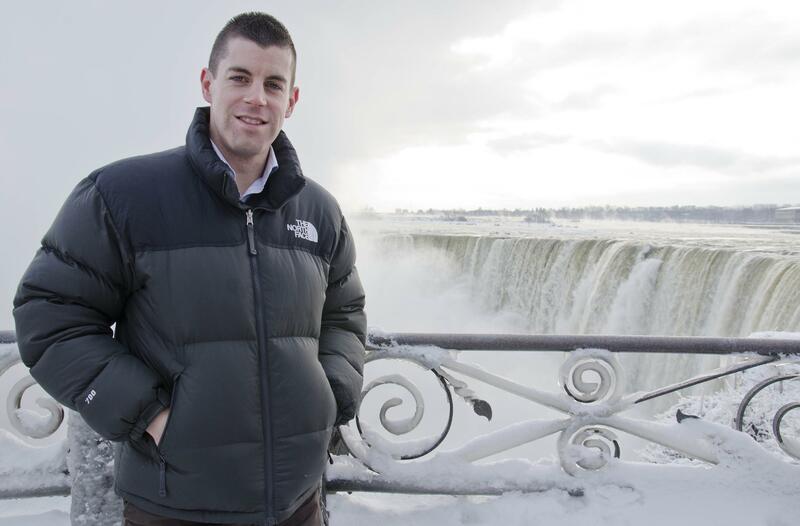 Lance Corporal Glen Little at Niagara Falls. The show in Toronto took place in the world famous Roy Thomson Hall – home of the Toronto Symphony Orchestra. A truly magnificent venue, it was again a resounding success – and the audience proved just as generous in their donations to the Colonel’s Fund charity as in their praise for the performers – it was a record night for the charity collection. Our show in Ottawa was also a great success. It was testament to the popularity of the show that someone made a four hour flight to be in the audience! 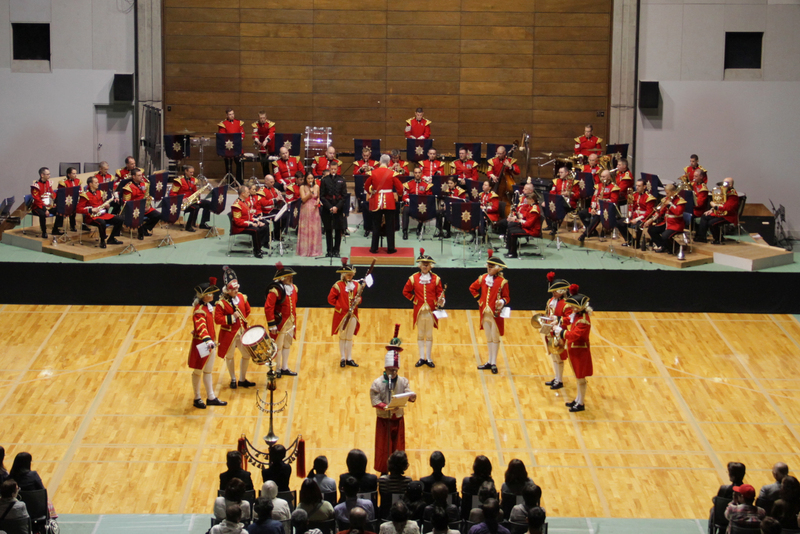 We were delighted to be invited to a reception afterwards hosted by Lieutenant Colonel Fran Chilton-Mackay, the Director of Music of the Governor General’s Foot Guards Band. In 2009, we had the pleasure of working with them during the Bermuda Tattoo, so it was great to be reunited with some familiar faces. We had the morning off in Ottawa before we left for Kingston, so we layered up and braved the -23C of a typical Ottawa morning! The sight of the Rideau Canal frozen over and used as an ice skating commuter route through the heart of the city was probably one of the more unusual sights that we would see on this trip! Defence Diplomacy also plays an important part in this tour, and we were very fortunate to receive an invitation to provide some background music for a drinks reception hosted by the High Commissioner at their official residence, Earnscliffe. 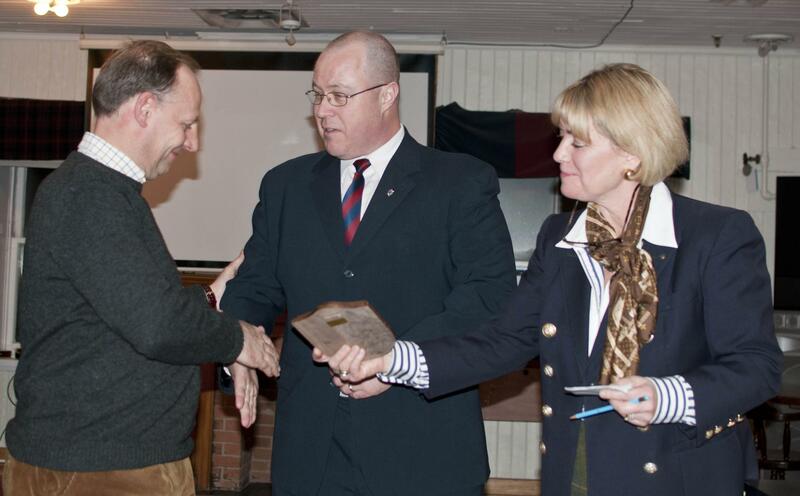 Among the dignitaries present was the American Ambassador to Canada. A wind trio of Colour Sergeant Mike Hernandez (clarinet), me (flute) and Musician Elizabeth Smyth (bassoon) provided entertainment for the guests and were very well received. After another well attended show in Kingston, our brief journey into Canada was over and we had the prospect of another long travel day back in to the USA and Cleveland, Ohio. Cleveland offered another magnificently well-apportioned venue in the Palace Theatre. The wings were so generous that we were able to form up as a full band offstage without having to wheel into position – a rare treat! Although not the wealthiest of cities, almost everyone in the audience donated what they could to the Colonel’s Fund, making it one of our most successful nights so far. After two days spent in Cleveland, we endured two long travel days with shows in the evening in both Richmond, Kentucky and Detroit, Michigan before the first internal flight of the trip back down south to MemphisTennessee. This will be the furthest south and west we have been so far on the tour and will provide a change of scenery and climate for the band! We have been lucky so far to miss the worst of the winter weather, and watching the scenes unfold on the TV of the blizzards enveloping the North East of the USA, where we were only a matter of a few days ago, we can be thankful that we weren’t subject to the draconian restrictions on transport that were placed by several states. 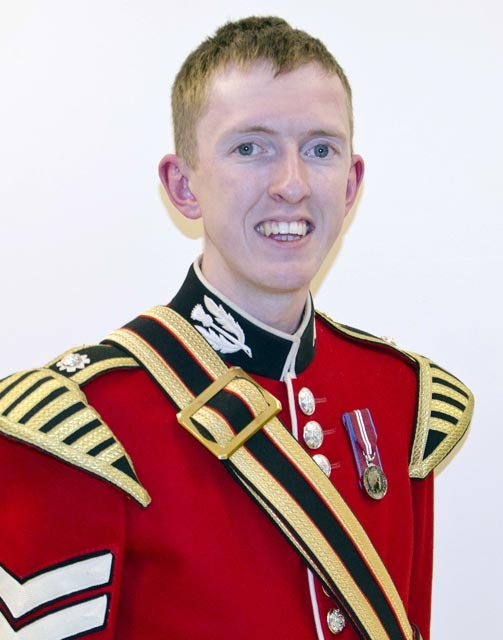 Lance Corporal Rob Howe is a Percussionist in the Band of the Scots Guards and is currently touring the United States of America and Canada. 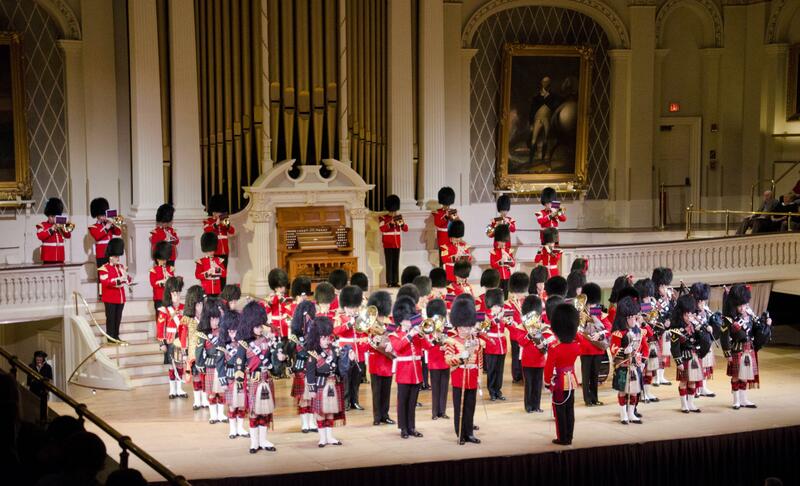 Ever since I joined the Band of the Scots Guards, I knew there was a opportunity to tour the USA and it was something I had been looking forward to for some time. 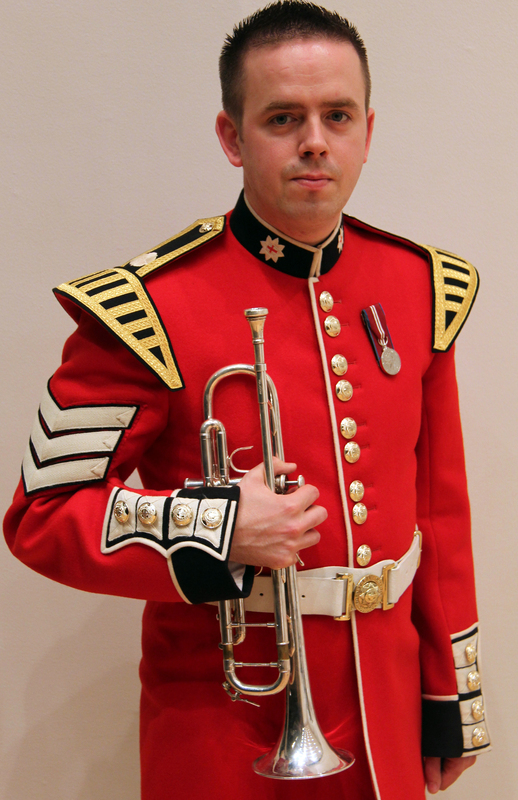 Since arriving at the band, I have seen three other guards bands complete the tour; Welsh Guards (2006), Coldstream Guards (2008) and Irish Guards (2010). 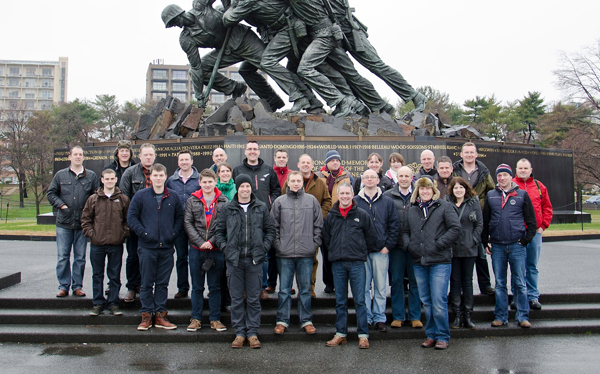 Before we even arrived at the airport, months of hard work had gone into organising the tour. 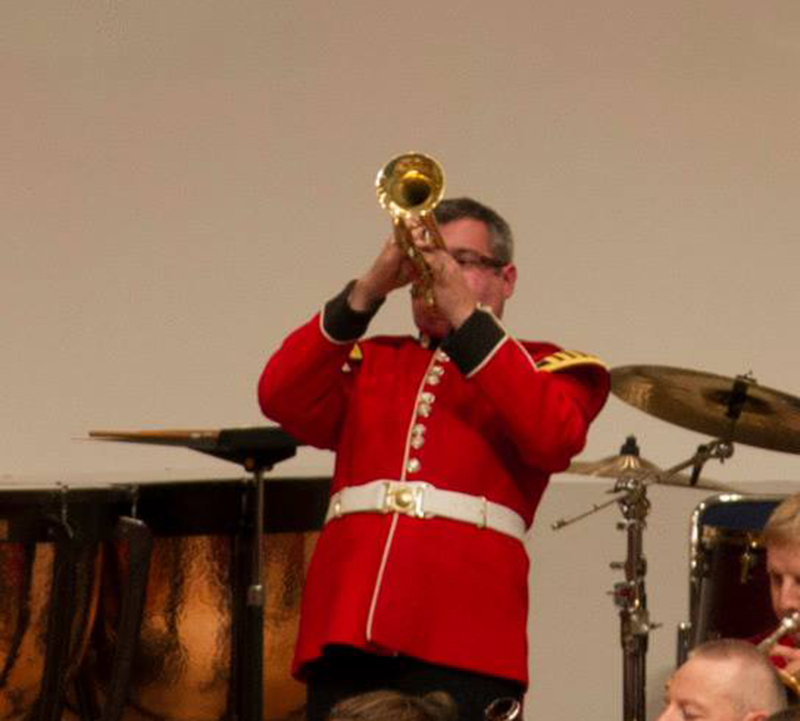 Certain jobs were delegated to various members of the band by our previous Director of Music and the Band Sergeant Major. I was given the responsibility of media and photography, which I have a keen interest in. 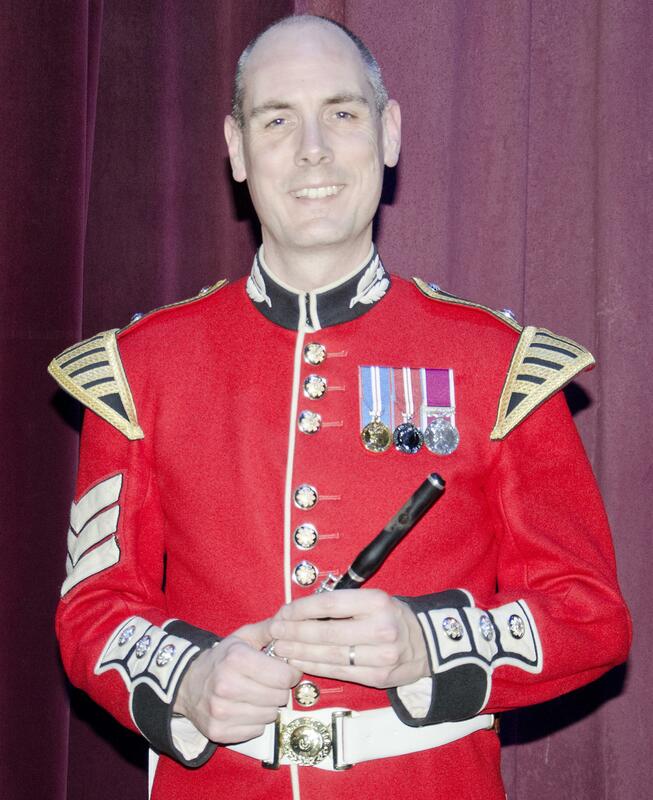 Joining us on this tour are the Pipes, Drums and Dancers of the Black Watch, 3rd Battalion Royal Regiment of Scotland under the leadership of Pipe Major Richard Grisdale. Interestingly, on our last tour to the USA in 1998, the Black Watch also provided the pipe band. They are a young and relatively inexperienced ensemble and have risen to the occasion superbly, being one of the most professional pipe bands we have worked with recently. On Wednesday 9th January, the band flew to New York and then travelled by coach to Philadelphia. We stayed in a magnificent hotel in the middle of Philadelphia and were looked after very well. Musicians Dave Cook and Paul Smith really splashed out, spending $45 on breakfast in bed! The next day was spent rehearsing our show as it had been some time since we had rehearsed it with the pipes and drums. It also gave Major Vernon Yates, our new Director of Music the opportunity to put the final touches on the musical aspects of the show. This took up most of the day, but some managed to squeeze in a Philly Cheesesteak in the evening! Friday morning was spent sightseeing by most of the band, visiting the Liberty Bell and running up the steps that feature in the movie ‘Rocky.’ Some found this easier to do than others! The band had its first show that evening, performing at the Kimmel Center in Philadelphia. The afternoon consisted of a final rehearsal in the venue, kit cleaning and finished with a lovely buffet that had been put on for us. It took a while to get used to the chocolate chip cookies with rock salt though. The show started at 8pm and we played to a packed out audience. One of the highlights of the night was playing ‘Amazing Grace’ with the pipes and at the end of the evening, we received a standing ovation. ‘Amazing Grace’ was written especially for this tour and features Dear Lord and Father of Mankind, Last Post and its American equivalent Taps. In the first 10 days of the tour we travelled over 1,000 miles, performing shows in Philadelphia, Greenvale, Easton, Rockville, Gettysburg, York, Union and New Brunswick, stretching across four states. We received standing ovations in all shows and the reception from the audiences has been tremendous. The band had the opportunity to visit New York City on our first day off. We managed to fit in most of the tourist attractions, including the Empire State Building, Statue of Liberty and Times Square to name a few. The Band also visited the 9/11 Memorial at Ground Zero. This was a very moving experience and our tour guide reminded us what happened on that day almost 12 years ago. Musicians get to do some sightseeing. We were also given a coach tour of Washington DC by our driver, Gabe. We visited many memorials and attractions, including the White House, Martin Luther King Memorial and the Marine Corps War Memorial. 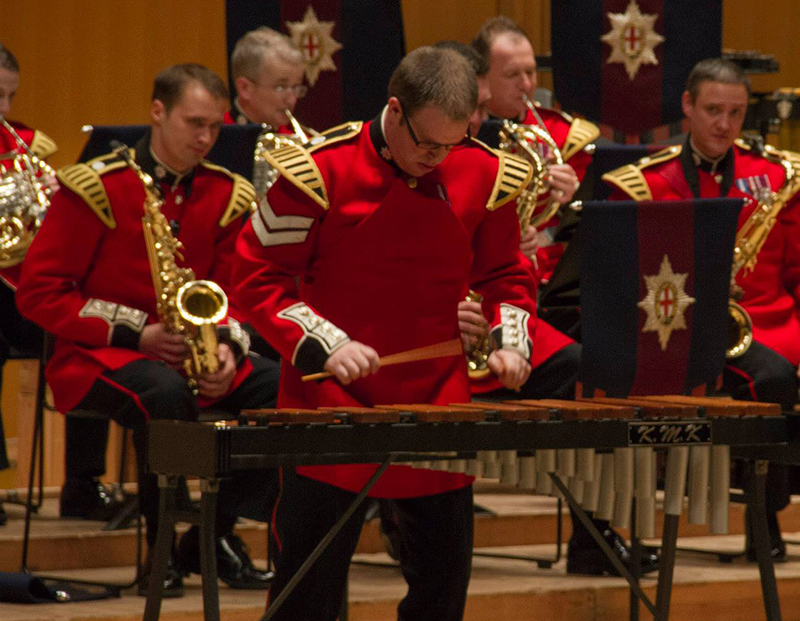 At every show members of the band have been fundraising for the Scots Guards Colonel’s Fund. Charity wrist bands are a 1st battalion Scots Guards driven fundraiser. Proceeds will entirely go to assisting wounded guardsmen and their families. In the first 7 shows, we have raised around $7000, which is a great start. The 1st Battalion, Scots Guards are currently serving on operations in Afghanistan and the Regimental Band wishes them a good tour and safe return. In the coming weeks we are travelling to Canada, the Mid West and the Deep South. 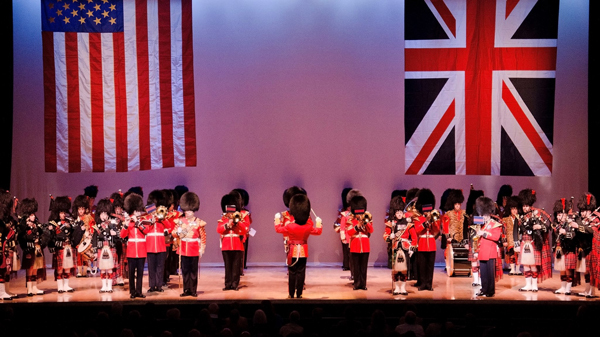 So far the tour is going really well and we look forward to performing our show and promoting the United Kingdom as well as the British Army across the USA and Canada. Lance Corporal Robert Duncan is a member of B company, 1st Battalion Scots Guards (1 SCOTS GUARDS). 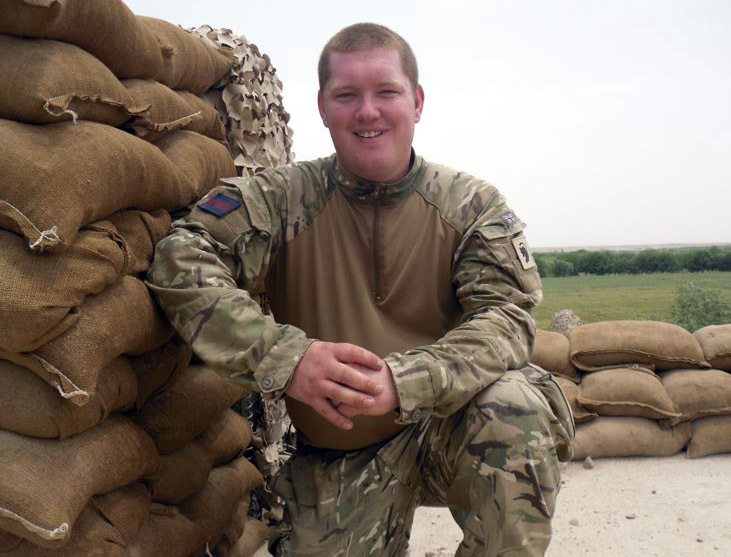 He is spending six months in a patrol base in central Helmand Province. Well, here I am in a Patrol Base just north of Lashkah Gar in Helmand. This is my second tour in Afghanistan and I’ve seen a real change since my last time out here in 2006. It seems a lot quieter and we’re getting fewer people shooting at us – there’s been a definite improvement. The local nationals seem a lot more comfortable with us; I get the sense that they feel protected by our presence. For this first blog, I’ll give you an overview of life in our patrol base and what we get up to on a ‘normal’ day. My role is second-in-command of a ground-holding patrol, which means I’m responsible for making sure everyone in our patrol has the right kit before we head out on the ground. That’s stuff like plenty of ammo, radios, enough spare batteries, water and rations for the duration of the mission. It’s also my job to make sure everyone is drinking enough water during the day to cope with the heat out here – it’s already in the high thirties and only going to get hotter. With the weight we carry, you’re sweating like you’re in a sauna before you’ve even left the base and dehydration is a real issue on patrol. The patrolling itself is fascinating – we’re encouraged to speak with the locals, using a ‘terp’ (interpreter) to translate for us, to build up a rapport with locals and ask them about any issues they have, such as intimidation from insurgents, or wells that need repairing for clean drinking water, or culverts across roads that need repairing. These are all things that we get involved with, to win over the support of the local people and bring them a better life. Pretty much every patrol we’ll get mobbed by some of the local kids. They’ve got a school here – not every area does – and they have English lessons, and are really keen to show us their school books and practise their alphabet on us. Guaranteed they’ll ask for sweets too – or better still chocolate, although that melts in seconds out here – but they also really want pens and pencils, as they just don’t have any of this stuff here. Living conditions in the base are pretty basic, but we’ve made it comfortable with cot beds covered by our mossie-net domes. And we have a well with a hand pump to wash at – or we use it to fill our solar showers, which are big 20 litre bags with a shower hose at one end, which we fill up and leave out during the day to heat up in the sun and get a really good shower in the cool of the evening when we come in off patrol. It’s almost too hot to eat at midday so the big meal is at night, when we all gather in our ‘welfare’ area which has some makeshift benches and a table and our No 7 Burner. Some of the guys have turned into pretty good chefs and we supplement our ration packs with food sent from home. Post comes in when there’s space on an inbound heli and is a mega morale boost – being out here really makes you appreciate small things like news from home and a can of Coke. I hope that’s given you an idea of what life in our PB is like! I’ll leave it there for now and come back later.